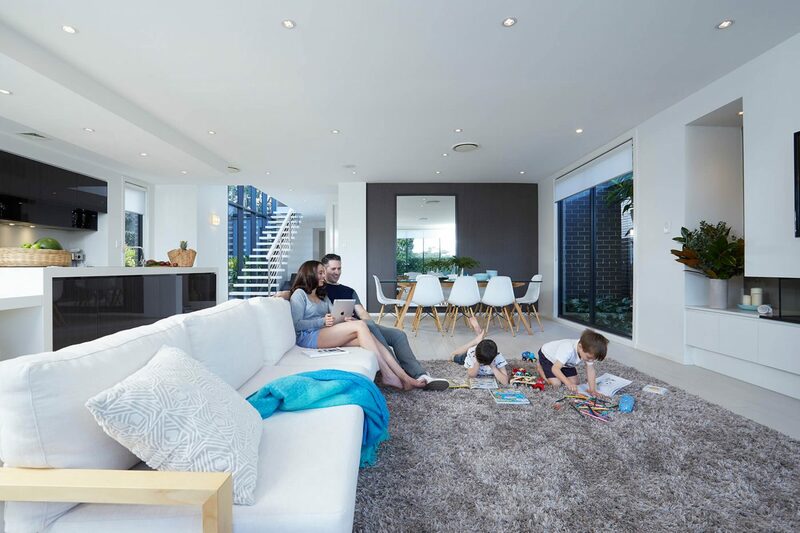 At Think Cooling, we’re a top choice for Gold Coast AC solutions. We deal with trusted providers of high-quality products and services fit for all your Varsity Lakes air conditioning needs. Varsity Lakes is an area primed for new developments in different sectors. This means lots of developers in need of the perfect climate control system. We offer some of the best air conditioning Varsity Lakes residents can get along with a vast range of solutions for many different projects. Why Choose Think Cooling for Varsity Lakes Air Conditioning? When choosing an air conditioning specialist in Varsity Lakes, you need to be sure that you receive the best appliances and services. Our team at Think Cooling are certified to work with the best brands and most high-tech systems at the most affordable rates on the Gold Coast. We assure our clients that we will install these products in an efficient, professional manner. We can also offer a flexible, stress-free service to meet your needs as a busy homeowner. Whenever you need a new product, an assessment or a little maintenance, our friendly crew are here to help. There are two key areas of interest for property owners and developers in this Gold Coast suburb right now. Varsity Lakes more generally has shown slow progression in recent years. The population here is up 4.6% from the 2011 census to the 2016 one. Varsity Lakes is a popular area because of the room for development alongside the many older, established homes. Residential zones are expanding around the lake with space for new apartment blocks. Then there is the locality of Reedy Creek. This little area is the one to watch in these parts. It currently has a number of vacant blocks of land that have been earmarked for construction. There is hope that not only will there be plenty of new residential ventures, but we will also see commercial opportunities too. The high potential here for new retail and commercial blocks in Reedy Creek means that a lot of developers can create great investment opportunities. The best air conditioning systems for these units are often split systems. These units are ideal for single rooms and open plan areas in need of efficient climate control. The best multi-split systems are also pretty discrete these days. That is why they are also recommendable for anyone looking to create the perfect new build apartment complex in Varsity Lakes. Then there are all those established homes in Varsity Lakes that could do with an upgrade to their current system. Larger, family-sized homes are often able to handle a larger ducted system. These products provide better climate control across multiple rooms. The best options are cost-effective, eco-friendly and can improve the value of these homes. This could help property owners in this growing suburb. The team at Think Cooling are knowledgeable about all these systems and will work with you to find the option that is best for your needs. A region on the rise, such as Varsity Lakes and its surrounding area, requires a retail sector that residents and workers want to use. This means plenty of inviting units with effective air conditioning. The MyAir AC system is a great choice because it offers dedicated controls per room, all with clever motion and temperature sensors. This means you’ll enjoy the ideal temperature precisely as and when it is required. These ducted systems can handle multiple rooms with a simple interface. It’s never been easier to enjoy year-round comfort! If you have a commercial or residential property in Varsity Lakes or Reedy Creek in need of the best possible AC system, call our team at Think Cooling today. We can find you the best options to suit your needs as a developer, as well as those of the future shoppers in the area. It is important to get this climate control system right if this region is going to prosper. So, call us today to help you make that next move. There are lots of ways to get in touch with us to learn more about the best products and services for this sector. Give us a call to see how we can bring the best air conditioning Varsity Lakes has straight to you.